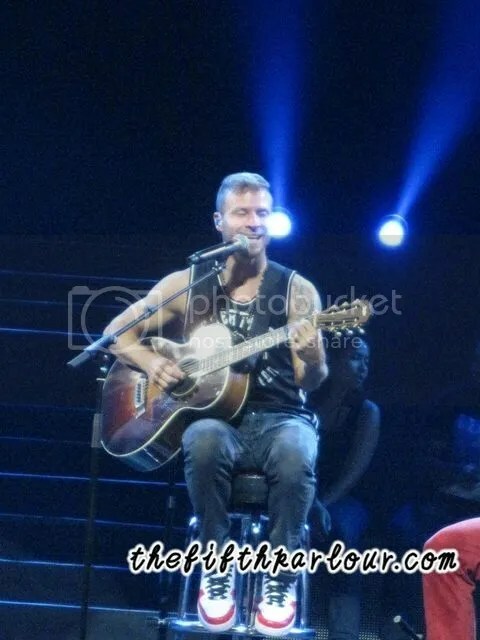 “Are you getting your Backstreet Boys fix?” – That was the very question Brian Littrell asked in between songs, and it was met with a very resounding “yeaaaaah!” and “wooooooo!” from the audience. 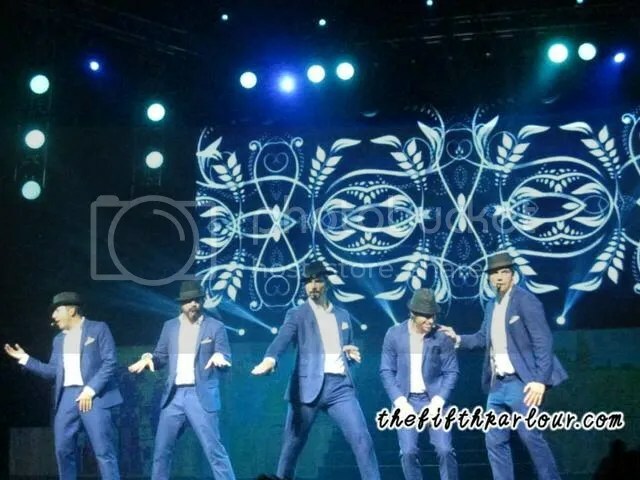 Never mind the fact that the average age between the members is just slightly shy of 40, the Backstreet Boys (BSB) impressed the ecstatic 5000 people who filled The Star Theatre at Buona Vista on Saturday, 2nd May 2015. 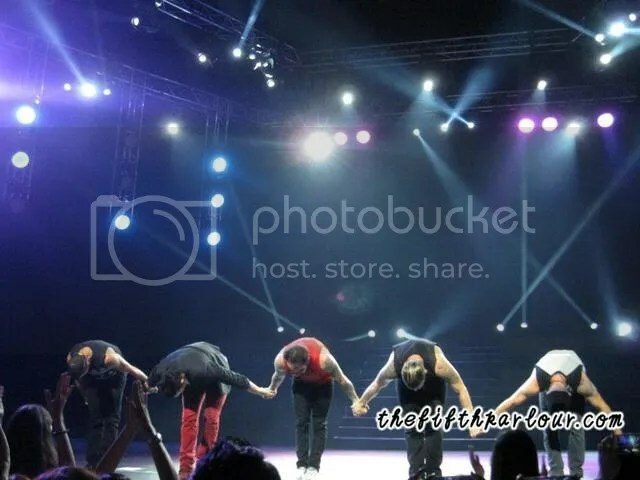 This year marks the BSB’s 22nd year in the music industry; it was even complimented with a dated video footage showing them at their first few shows introducing themselves (Nick was a wee 14 year old!). Judging from the sold out show, the band needs no introduction. 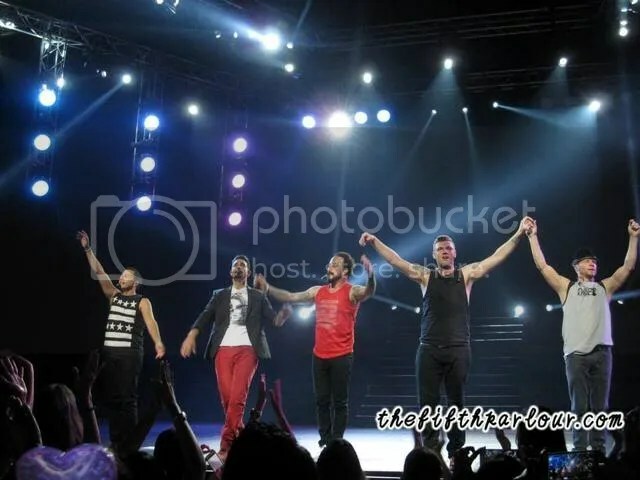 Brian Littrell, Howie Dorough, Nick Carter, AJ McLean, and Kevin Richardson, were like diamonds shining in the night. They took us down memory lane complete with sleek dance moves, occasional winking and waving which sent some of our writers into a frenzy (I am not naming names!). Maybe it was anticipation, maybe it was just from sheer excitement, the room was almost in hysteria the moment the first notes of “The Call” came on, signaling the guys were about to appear on stage. Appearing in tailored navy suits, it was as if time stood still. The guys belted The Call, Don’t Want You Back, and All I Have To Give during their first set complete with fedoras. It took everything in me to not literally swoon. I like how they intersperse the concert (while the guys change or chug down some water etc.) with video snippets from their recent movie, titled “Show ‘Em What You’re Made Of”, which is incidentally their latest single from their 2013 album. They also place the spotlight on each of them after every 3-4 songs. Nick went first and during his speech he introduced us to “Permanent Stain”, one of the songs from their latest album, “In A World Like This”; the namesake for this tour. During Brian’s segment, he was so earnest in thanking all of us there, my heart was full. That was also when Kevin came on stage and one thing led to another, they did an impromptu rapping to Blackstreet’s “No Diggity”. The guys had an acoustic set where all of them played instruments of some sort. That was also when the VIP fans get to sit on stage to watch them perform. To be honest, they were a bit of a distraction. But Brian being his sweet self, hugged each and every single one of them. 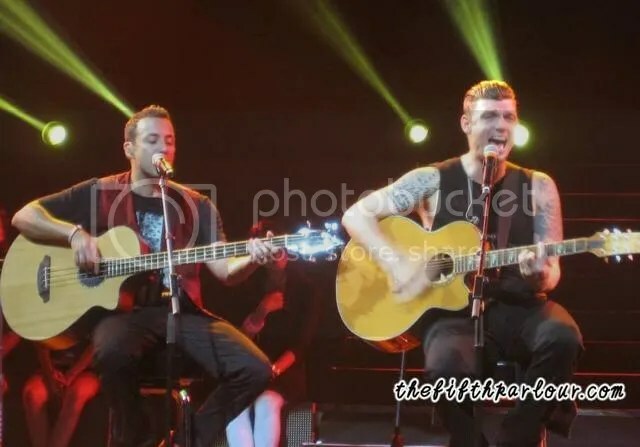 AJ’s raspy voice backed by the harmonies from the rest of the guys were exceptionally outstanding during their performance of “10,000 Promises”. In the middle of the 20+ songs concert, the guys joked about how this show will consist of all their hits except, “I Want It That Way”. The crowd collectively groaned and boo-ed the guys much to their amusement. From where we were sitting, we can see that they are a quite a number of overseas fans who came all the way here to watch the BSB. It is amazing how a boyband from our childhood/teenagehood can foster such strong friendships across the globe. As much as we were lapping up their energetic performance, I would think the BSBs were doing the exact same thing; feeding off our energy and enthusiasm. As the night goes by, the energy level in the room was absolutely sky high and the shrieks got louder when the guys performed “We’ve Got it Going On”. 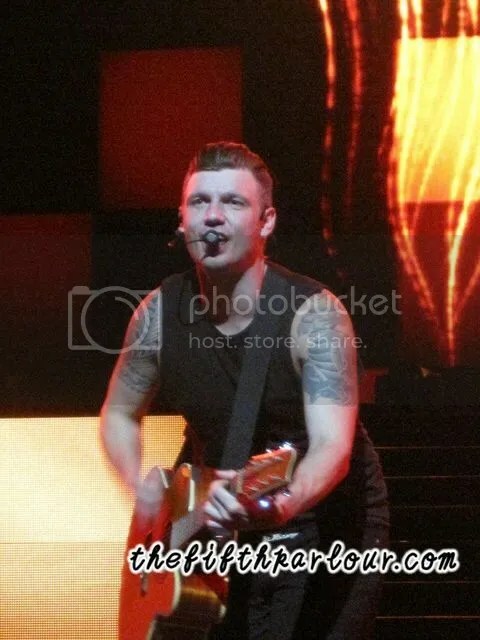 As the closing songs, they performed “Everybody (Backstreet’s Back)” and “Larger Than Life”. Even though it was close to 2 full hours, it felt like it went by in a flash! I needed more, I needed to remember more. Of course throughout the show, there was a promise of a next album being recorded in September 2015. Following which, I am hopeful that there can be another world tour. The songs that I grew up with will always be evergreen to me. No matter how many times I listen to the Backstreet Boys live, I will not get tired of them; balding spots and all. The PCD (Post Concert Depression) syndrome is real you guys. I simply cannot wait for them to come back!